Apple has recently come up with a range of its new iPhone models – iPhone XS, XS Max, and XR. If you are a true iOS fan, then you must have already bought a new iPhone model already. Though, a lot of users ask us how to transfer contacts from iPhone to iPhone XS without iCloud in order to switch to their new device. It might surprise you, but there are different ways to transfer contacts from old iPhone to iPhone XS or XR. 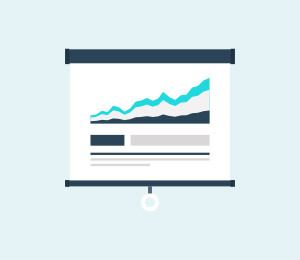 In this guide, I will cover the 5 most recommended solutions. You might already know that Apple provides a free space of 5 GB to every user. 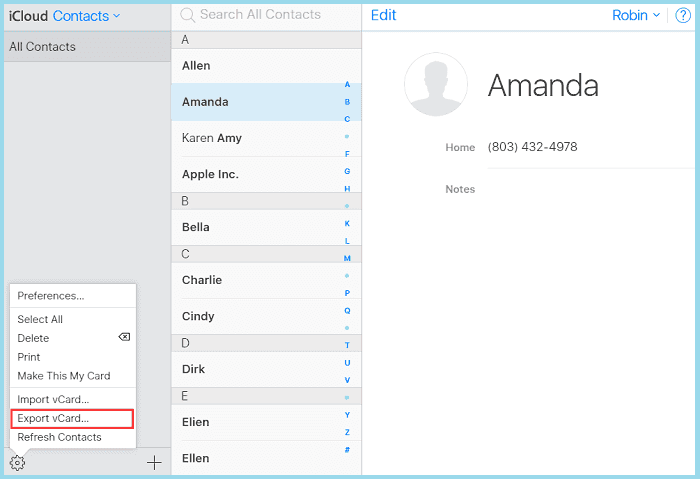 If you don’t want to lose your contacts, then it is recommended to turn on its iCloud sync feature. Once you know how to transfer contacts from iPhone to iPhone XS with iCloud, you can easily access them across multiple devices. Besides contacts, you can save your messages, notes, memos, etc. on iCloud as well. 1. 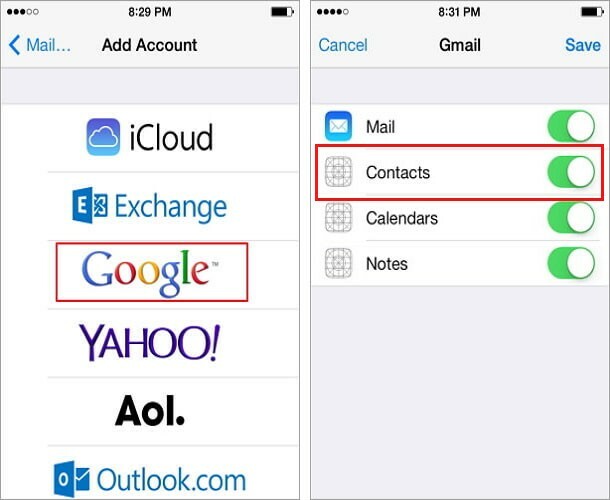 To sync your contacts, go to your device’s settings and tap on your Apple ID. 2. Now, go to its iCloud settings. In older iOS versions, it can be found under Settings > iCloud. 3. From here, you can see how much space is occupied (or available) on your iCloud account. You can also see an option to sync your contacts with iCloud. Simply turn it on. 4. If needed, you can also merge the contacts stored on your phone’s storage with iCloud as well. 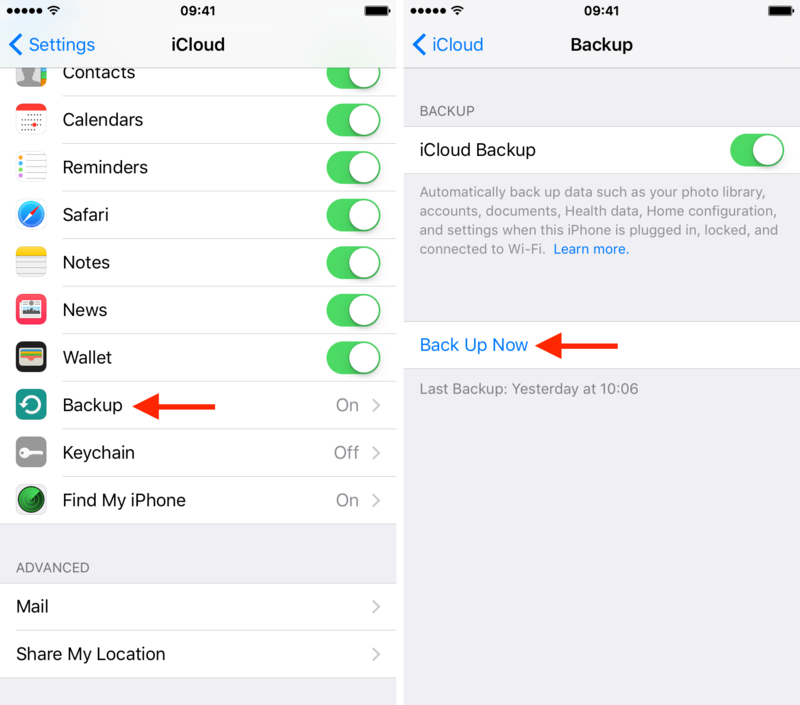 You can also turn on the iCloud backup option from here as well. 5. Whenever you would setup your new iPhone XS/XR, log-in with the same iCloud account that was linked to your previous device. 6. If you want, you can also choose to restore a previously taken iCloud backup. Just log-in to your iCloud account, select the relevant backup, and let your phone automatically retrieve its content. In this way, you can learn how to transfer contacts from iPhone to iPhone XS with iCloud. Since your contacts are saved in the cloud, you can access (or export) them anytime you want by visiting iCloud’s website on your computer or any other device. 1. Launch an updated version of iTunes on your Mac or Windows. If you haven’t used iTunes in a while, then update it by visiting its menu. 2. Using an authentic lightning cable, connect your old iPhone to the system. In no time, iTunes will automatically detect it. You can select it from the list of the connected devices. 3. Go to its Summary and click on the “Backup Now” button. Also, choose to take a backup on “This Computer” instead of iCloud. 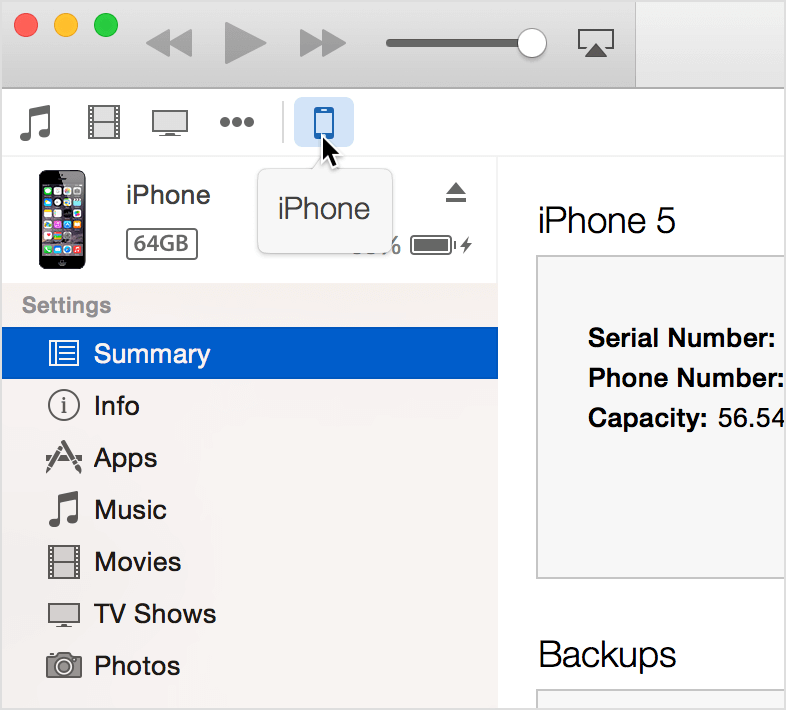 Wait for a while as iTunes will take a complete backup of your phone, including its contacts. 4. After when the backup has been taken, you can simply remove your phone safely. 5. There are two ways to restore this backup. 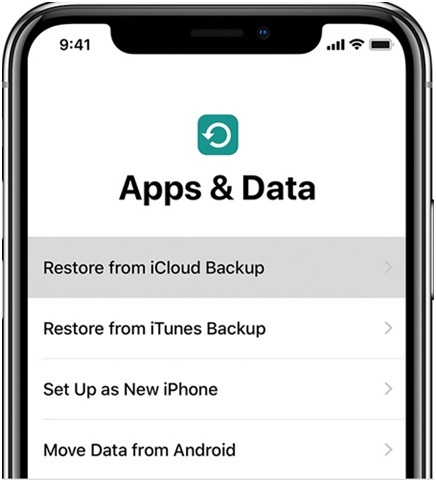 While setting up your new iOS device, you can tap on the “Restore from iTunes backup” option and connect your phone to iTunes. 6. Also, you can simply connect your new iPhone XS/XR to the system, launch iTunes, and visit its Summary. 7. Click on the “Restore Backup” button under the Backups section. 8. Select the backup from the provided list and click on the “Restore” button. This will restore the entire backup content to your device. While this would transfer contacts from old iPhone to iPhone XS, it will also restore all the other data types (like messages, photos, videos, etc.) to your device as well. Also, the existing data on your iPhone XS/XR would automatically be erased. This is the major drawback of using iTunes to transfer your data. 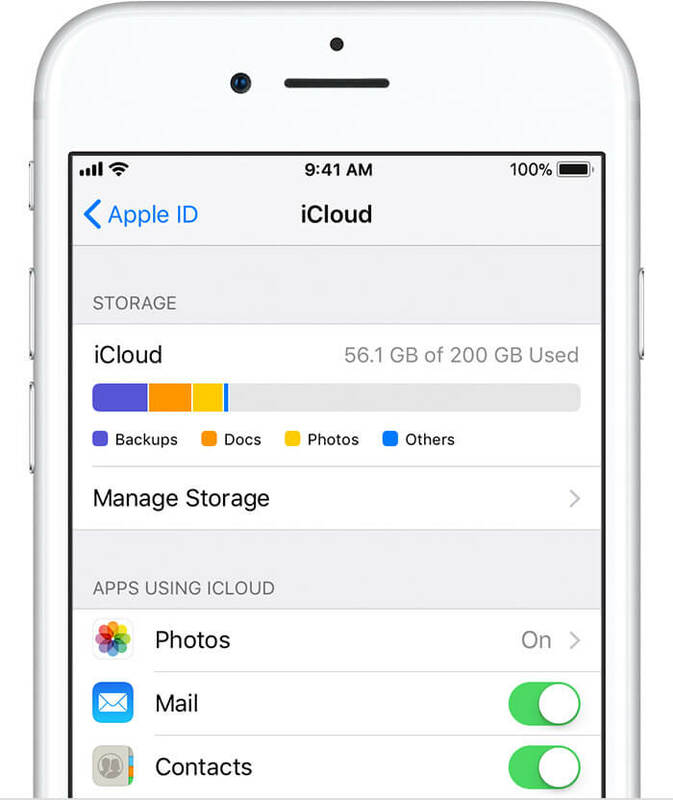 While iCloud and iTunes are extensively used to backup our data, they are not the recommended solutions to transfer contacts from old iPhone to iPhone XS. To have a hassle-free experience, simply give iSkysoft Toolbox - Switch (iOS&Android) a try. A user-friendly and reliable tool, it will let you transfer your data directly from one device to another. 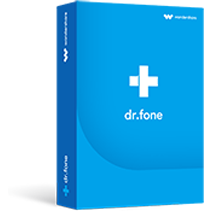 It is compatible with leading Android and iOS devices so that you can perform a cross-platform transfer of data as well. Not only contacts, you can also transfer your messages, photos, videos, music, call logs, etc. With just one click, you can transfer contacts from old iPhone to iPhone XS. The existing data on the target device won’t be lost. You can select the type of data you wish to transfer. 1. To start with, install iSkysoft Toolbox on your Mac or Windows and launch it whenever you wish to move your data. 2. By using authentic cables, connect your old and new iOS devices to the system. Wait for a while as both the devices are detected by the application. From the welcome screen of the application, click on the “Switch” option. 3. The application will automatically detect and categorize your devices as source and destination. Your existing iPhone should be marked as Source while the new iPhone XS/XR should be the Destination device. If not, use the flip button to interchange their positions. 4. Select the type of data that you wish to copy and click on the “Start Transfer” button. 5. In no time, your contacts would be moved from your old to new iPhone. You can view the progress from an on-screen indicator. 6. 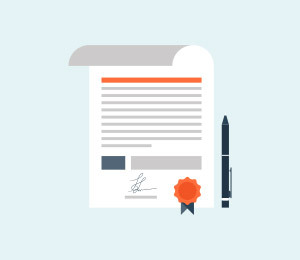 Once the transfer is completed, you will be notified. In the end, you can safely remove both the devices. 1. 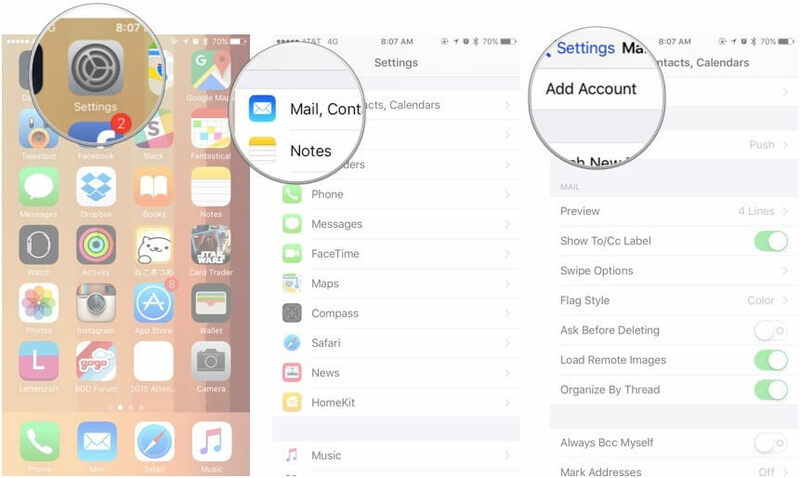 Unlock your existing device, go to its Settings > Mail, Contacts, Calendars, and tap on the “Add Account” option. 2. Choose Google from the list of the available services and log-in to your Gmail account by providing the right credentials. 3. Grant the needed permission to the Gmail account and once it is added, go to its settings and turn on the syncing feature for Contacts. 4. 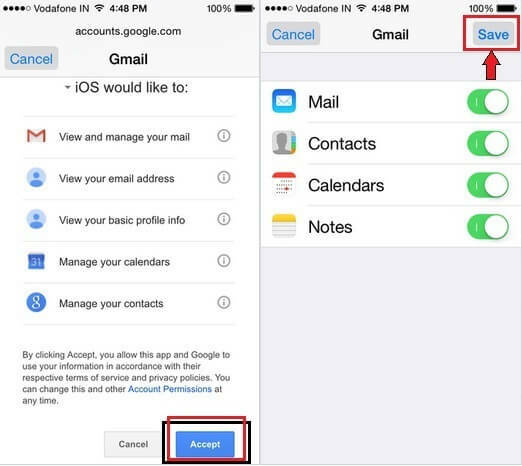 In this way, your iPhone contacts will automatically be synced to your Gmail account. 5. Now, follow the same drill with your new iPhone XS/XR. That is, add your Google account and turn on the contact sync option. 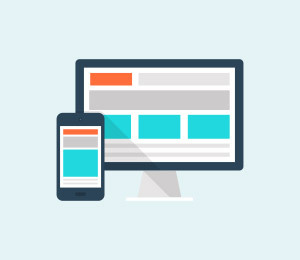 Since syncing works in both ways, the contacts that are already present on your Google account will be made available on your new device as well. This will let you transfer contacts from old iPhone to iPhone XS wirelessly. A lot of users would like to store their important contacts on their SIM card as well. 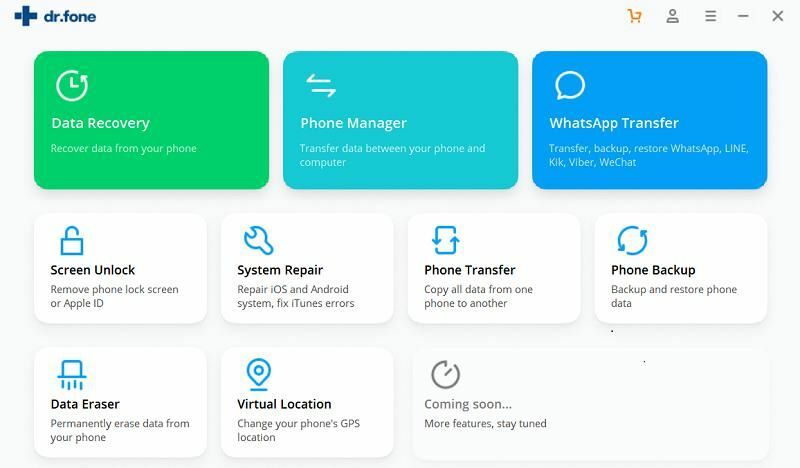 While this might be a complicated solution, you can implement it as well to transfer contacts from old iPhone to iPhone XS. If you have already stored your contacts on your SIM card, then you won’t have to go through a lot of hassle. If not, then you can simply follow these steps. 1. Since there is no direct way to export contacts from iPhone to SIM, you need to sync them with iCloud first by visiting its settings. 2. Now, go to iCloud’s website and log-in using your account details. 3. Visit the Contacts section and select all the entries. Go to its settings and export the selected contacts to a vCard. 4. Remove the SIM from your iPhone and put it in an Android device for a while. 5. Connect the Android device to the system (where the exported vCard is stored) and copy it to your phone’s memory. 6. Go to the contact settings on your Android device and export the vCard contacts to your SIM. 7. Remove the SIM card from your Android device and insert it into your new iPhone XS/XR. 8. 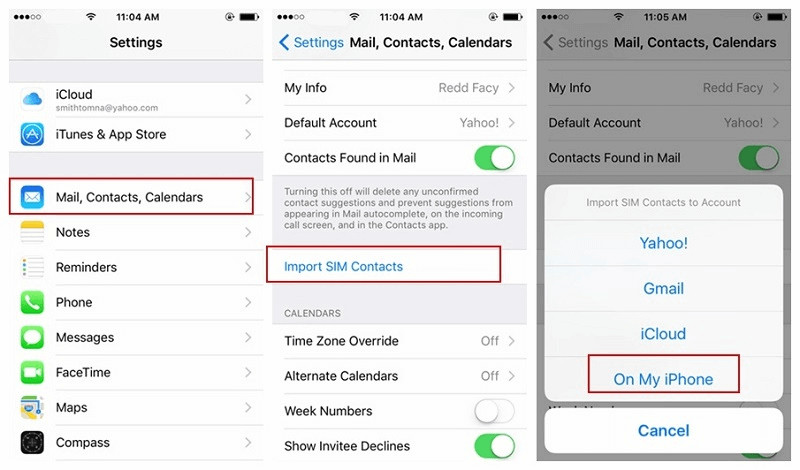 Once the SIM card has been detected in the target iOS device, go to its Settings > Mail, Contacts, Calendars and tap on the “Import SIM Contacts” button. 9. Choose to import SIM contacts to your iPhone and wait for a while as your contacts would be moved. I’m sure that after reading this guide, you can teach anyone how to transfer contacts from iPhone to iPhone XS with iCloud (and without it). 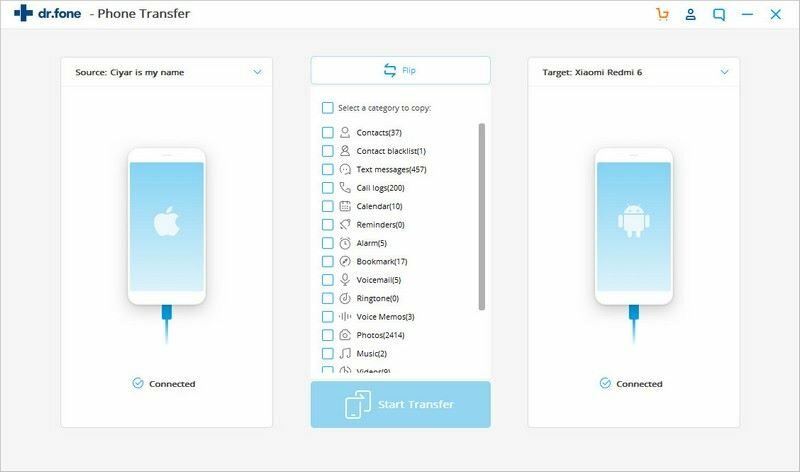 Although we have explored 5 different ways to transfer contacts from old iPhone to iPhone XS, iSkysoft Phone Transfer would be a recommended choice. 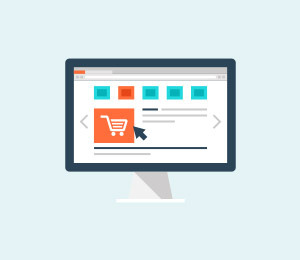 It provides a one-click direct device-to-device phone transfer solution. In this way, you can easily move all the important data between different devices in minutes.